Back in my business days leading big projects we had a philosophy called crawl, walk, run. Big undertakings set crawl objectives to prove what we were doing was feasible, made sense, were achievable without committing business killing resources, etc. Walk built off crawl: commitment of more but not quite all resources. Run was all in: bet the business. I think folks here are jumping straight to walk or even run without getting tangible proof that crawl works. I've had toddlers for the last 2 plus years. They love trying to do these out of order and they get the bruises to prove it. Guess you could say I'm crawling through this topic. Nice to see Big EZ this morning talking ticket pricing. He's so right about Tulane on social media this week. 2 OOC games at home; 2 on the road; occasionally 3 and 1 but Tulane will never have less than 6 home games. 2 P5 games with one at home when possible. Schedule an occasional one off road money game to benchmark and publicize the program and balance the budget. 1 FCS game at home. Where possible Tulane will prefer any and all of the OOC home games to be where the road team travels well. Not universal though: Wake and UAB didn't/won't travel well but OU, Southern, NSU, Ole Miss, MSU and presumably ULL will. Some are who knows: like KSU? This to me seems a reasonable formula to pay the bills and put the most butts in the seats. ULL will sell tickets in N.O. ULM won't. Southern sold tickets in N.O. Maine didn't and so forth. More important, it's nothing like the RD/CJ scheduling where we dropped an MSU home game and subbed UMass because our conference schedule was "hard enough." The key to building a fan base is to win and be respected. That means playing opponents who are respected. I don't say we should never play ULL, etc., but that ain't gonna impress the man on the street in New Orleans. You are correct beating K-state would impress locals more. Wake, less than you would think. The thing is as far as ULL and USM go in particular, local media will cover them more enthusiastically. That is simply the situation down here. I know a couple casual Tulane fans who specifically stated that they would go to Tulane ULL games every time, but had less interest in Wake or Duke. The '13 New Orleans bowl was their most successful one not simply because of proximity, but also because locals just like watching these two teams play. I completely understand that Duke and Wake are better opponents, but strength of opponent is not he only variable for an enticing game. That said, I would rather play Duke and Wake because we desire to be a national program and beating them does more nationally, but if we can't get a P5 at home then ULL or USM. I've always believed we should play both ULL and USM home and home with one year playing one home and the other away. Each year we would guarantee ourselves a home game with a nice size crowd from the visitors (money in ticket sales & concessions) and a road game within driving distance. Also, and more importantly, 2 non conference games we should win most years to help us get to 6 wins and a bowl. And then an FCS team and then one good game? Good Lord man, have you no shame? You crack me up! Shame has nothing to do with it - I know you all would like to play a SEC schedule every year but I'd rather go to a bowl game and try and build a winning program that is sustainable. At some future time we may be able to beef up the schedule. However, this year if we would have played USM instead of Ohio State we would be one win closer to a bowl game. Yes, its fun to see Ohio State on the schedule but it doesn't help with the goal of going to a bowl game. I went to Ohio State, also went to Oklahoma last year too and while they were fun trips I would trade the as$ drubbing at Oklahoma for a win over ULL and a bowl. Good Lord man, have you no shame? You want to know what shame is? Shame is having played in 3 bowl games in the last 30 years. But yeah, Let's just schedule Michigan, Ohio State, Alabama and Clemson next year for our non conference games. How much fun would that be!? I went to both those games too, you know why, because I'm not traveling to Ruston or wherever the frick ULL is. You basically want to make those two conference mates. Hell no. We should play one name program, one or two middling programs, at most one P4 program, and an FCS. I want wins and bowl games too, but for heavens sake have some self respect and an ego. One or two middling programs? Please define that for me. Because last I check, last year we lost to FIU and this year we lost to UAB. And of course you won't go to Ruston or ULL - you live in Chicago so its not an easy trip. But I've been to games at ULL and Southern Miss and WAY more Tulane fans travel to those games than travel to Ohio State and Oklahoma. And no, I don't want ULL in our conference. You don't want to schedule ULL but you wonder why LSU doesn't want to play us?!?! Also, we don't have any rivalry games? Who is our rival, a true rival? Who on our schedule is a team you just can't stand and want to crush every year? I can't think of any. Right now I'm just looking to squeak by with 6 wins even if they are all by 1 point. My name is T. J. Acosta and I approve this message! Windy, each schedule should be taken individually. Where is your issue? Should we have added a third P5 to 2024? We needed a home game for 2027. How was that bad? Now I would like to see us add a P5 at home for 2027. Let's see what TD does then make a verdict. A middling program is Wake Forest Northwestern Iowa State... whereas a name program would be OU OSU KSU (although it depends on the year for them) etc. You missed the joke I said ULL was jn Ruston, was waiting for someone to point out the it's location is in its name. (Norman not as easy to get to as I thought BTW). I didn't say don't schedule them, I took exception to your alternating H/H with them and USM EVERY year. That's the shameful statement. As to rivalries I would call in indirect fire on all of SMU, then raze the rubble, salt the earth, then spray it with VX (little known fact is was developed as a pesticide). Wasn't Wake inherited by Dannen or was that just the road game a couple years ago? Can't imagine KSU or Iowa St will travel much but not much for them will probably still be pretty representative for us compared to our conference mates. We're still short a couple of games there. One of them could very well end up a big name P5. Looks more likely to be FCS. If KSU is winning, it will travel well. Agree absolutely that Wake, Duke, Northwestern, ISU won't travel well even if they are undefeated. No doubt OU/MSU/Ole Miss will all travel very well regardless. Tulane still has to have P5 home games so it needs to do what it has to do to get them. However for G5/FCS games, there is no reason, we can't schedule teams that will bring fans here like USM, ULL, Southern, NSU, GSU, et al. So for example I didn't get the UAB or FAU or Maine games. I would be glad to see a renewed series with USM. Maybe not a straight home and home but like three here two there. ULL, not so much. Maybe play them once in a while but only at Yulman. ULaLa made out like a mink with this home and home deal. Sure you don't mean nutria? ULL is hoping to beef up their visibility and presence in New Orleans as this is a market that they want to increase student admissions from. I hope that Tulane used that to leverage any deal that they brokered with ULL. Because if UNO or Loyola had teams, I bet that ULL would have scheduled them. This particular deal has very little to do about creating a rivalry. It's most likely part of their long term plan to establish their brand in this market. Not just for athlete recruiting, but for institutional goals. Kind of like our dreaded Army games. Maybe this is the karma year for Coach Fritz and Tulane. We miss playing our semi-regular OOC game against Army in a year where it is outstanding (by service academy standards) and have Navy in a few weeks in a bust season for it. It starts tomorrow if the Navy game is to matter. There are two different questions there. Who is Tulane's rival? These days, no one. But which team can you not stand and want to crush every year? Oh, the list is so very long. All these decades watching opponents of every stripe run up big scores and laugh their way to the final gun has taken its toll on me. I want to crush them all, frankly. And the usual suspects are at the top of the list. But with so many teams, the desire is to beat them down, run up the score, then hose their fans with water cannon and beat up their cheerleaders in the stadium tunnel. LSU, Memphis, USM, Ole Miss, Tulsa, SMU, ULL, Marshall, UCF, Miss. St., Ga. Tech, Florida St. . . .
Well, I'd say NY is a more relevant market than Lafayette. But I agree otherwise. This is a great deal for ULL. Really weak scheduling effort. And I got my ticket notice for next year ....my ticket prices officially doubled and ULL on the schedule, all in the same week. Just for information purposes, the Cajuns will be opening up their 2019 schedule against Mississippi State in the Superdome. 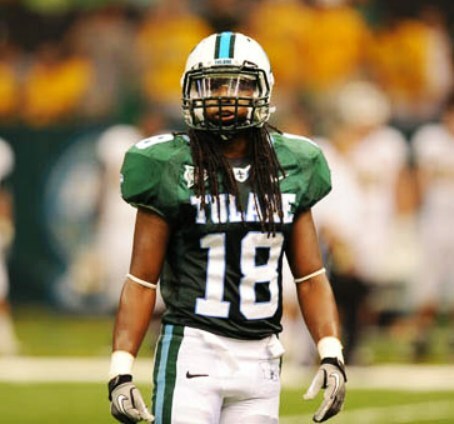 They don't necessarily need Tulane to get their foot in the NOLA market.